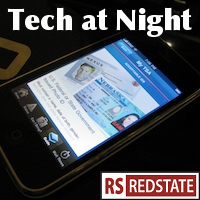 Tech at Night: Harry Reid’s rush to pass an Internet power grab. LightSquared LOSES at the FCC thanks to Chuck Grassley? Tech at Night: The Return of the Revenge. Google Motorola deal approved. Spectrum. Skeptical of Telecommunications Act changes. Tech at Night: Cybersecurity battle sends McCain to find Republican help, LightSquared fights, Obama regulators are dangerous! I meant to talk about the cybersecurity bill on Monday as it’s a big story. But, it’s gotten even bigger since. You see, a broad spectrum of Republicans is coming out against it. Names like Kay Bailey Hutchison, John McCain, Mike Enzi, Saxby Chambliss, Jeff Sessions, and even Lisa Murkowski are against the crazy Rush Harry Reid and the Democrats are putting on the bill pushed by Joe Lieberman, Jay Rockefeller, and Susan Collins. And they’re right to oppose it. The case is overblown, and even if they claim the Internet Kill Switch is gone, it’s still a power grab. We’re at the point where Dianne Feinstein is a voice of reason, as she promotes voluntary data sharing, a plan Tech at Night has previously supported when also proposed by Dan Lungren in the House. Yeah, seriously. If you know California political history you know how funny it is that Republican Lungren and Democrat Feinstein now have another thing in common. But I think they’re both right on this. The way we’ll get more secure is to share more data and to prosecute the offenders. In other major news, the FCC has rejected LightSquared’s proposal to build a terrestrial wireless LTE network. Long time readers will remember that at first I leaned heavily toward LightSquared on this matter. I did and do think that in isolation, their case was strong that they should be able to do what they planned, and use their spectrum in a new way to improve wireless competition in America. But, Grover Norquist may disagree, I now suspect it was the right call. I’m skeptical of LightSquared because I think Chuck Grassley was asking the right questions. Rather than prejudge the matter, he wanted transparency from the FCC, and continues to demand it even though the FCC is trying to sweep this under the rug. With both the FCC and LightSquared objecting to Grassley’s transparency demands, one does have to wonder if something is there. LightSquared says it will fight on, and I don’t see why they shouldn’t. This is a big deal for them and, frankly, it’s a huge deal for universal Internet access in America. I expect they’ll lose, but they’ve got to try. China’s war on iPads continues in the name of Proview International. Now, I don’t know if Proview International is controlled by the People’s Liberation Army or Central Committee of the Communist Party of China, but it wouldn’t surprise me. Amazon’s even been bullied into the act, at least in China. Meanwhile, Chinese companies ignore our property rights all the time. Where’s the enforcement? Where’s the Administration to stick up for America? Where is Barack Obama? Hiding under the bed like the gutless wonder he is, that’s where. And where’s the Congress? Hyperventilating over non-stories against Apple, while the free market already solved the privacy problem. Quick links: I’m skeptical of some of the anti-AT&T reports, but if AT&T is arbitrarily throttling unlimited users instead of just letting them out of their contracts, then I object (as someone under contract with AT&T with an unlimited data plan, so in theory this affects me most directly). They shouldn’t be able to get the best of both worlds: changing the conditions while keeping people from punishing them for that by leaving to a competitor. Do fraudulent phone users have a reasonable expectation of privacy? The courts seem to be saying no. I think I agree. Crime in itself should not be a free pass to commit more crime. Will new technologies threaten broadcast television? I sure hope so, especially if we keep on pushing incentive auctions to transfer spectrum from broadcast television to wireless Internet. GSA opens up to competition, allowing people to switch from Blackberry to Android or Apple iPhones. RIM weeps. The SEC of all things gets into the Net Neutrality wars. See? Every single Obama regulator is working in concert to expand government, picking winners and losers in the marketplace. FCC spectrum auction reform may get passed as a rider on a tax deal. Hooray! Note that according to The Hill’s article, Democrats are openly complaining that they want to rig auctions to pick who wins them, or at least who doesn’t win them. Picking winners and losers. Corrupt from top to bottom.